Snap Filters BABY! CustomFilterz.com Now Has Wedding Chicks Filters! Let's be honest, Snapchat is great and all but we truly love that app for one thing... the FILTERS! 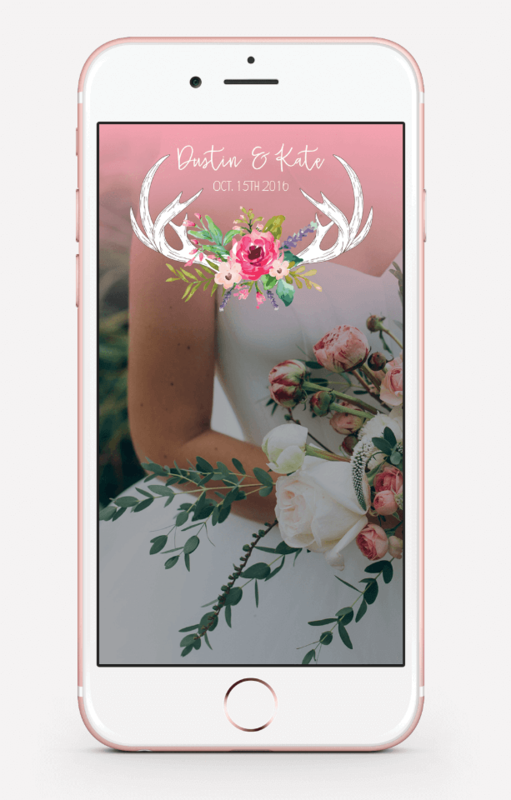 Well we have some great news, now you can get your own geo-targeted snapchat filters made custom for your wedding thanks to CustomFilterz.com. 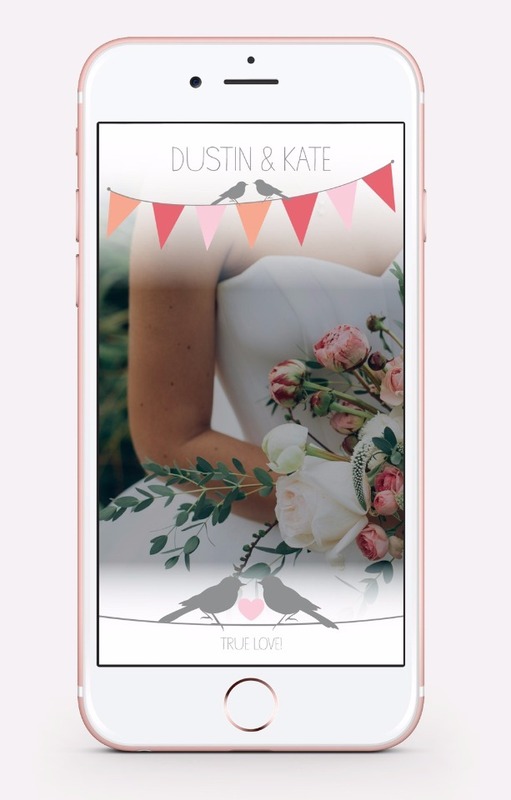 Oh and did we mention that Wedding Chicks has our own page of customizable filters that match our free printables!!! Heck Yeah! Wait, wait, wait. So what exactly does geo-targeting mean and what kind of complicated process is it to get your filter for your big day? Ordering your filter is super easy, and it only takes about two minutes to fill out the online order form once you have selected the perfect filter. The order form will ask for the location and date of your wedding day so that they can target that area. 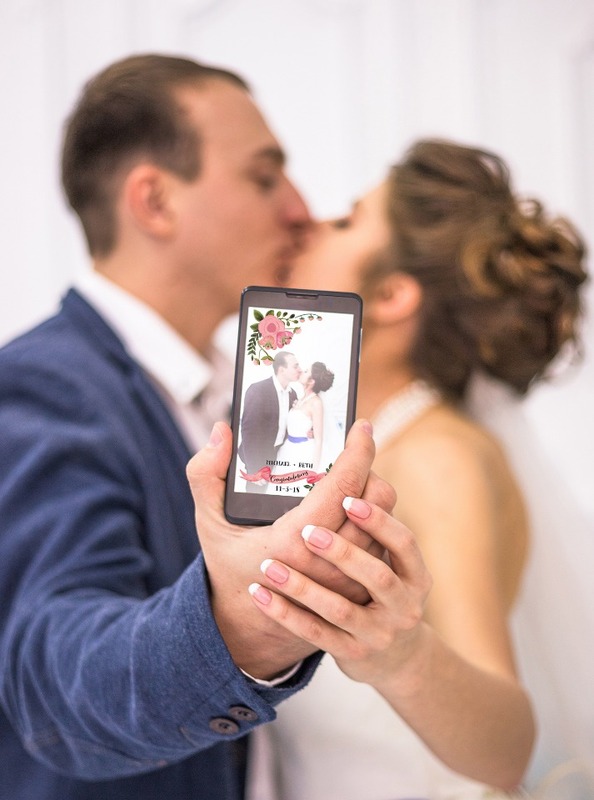 That means when any of your guests open their Snapchat app at your wedding they will have 24 hours to snap you and your sweetie saying "I do," cutting the cake and dancing the night away, oh and of course a selfie or fifteen, all with your custom filter! Sounds awesome right! We think so too, that's why we teamed up with CustomFilterz.com to bring you six fantastic filters, all starting at $49. 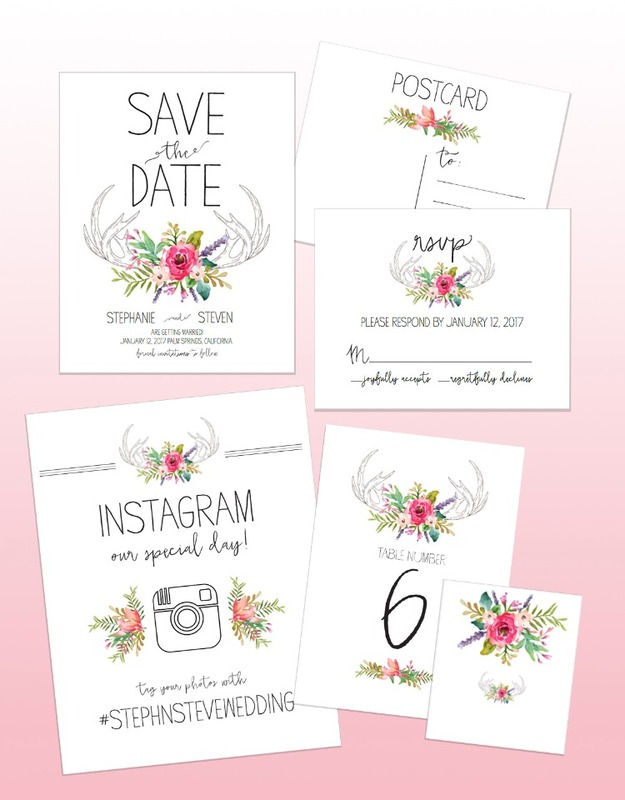 Each filter perfectly pairs with six of our most popular Wedding Chicks free printable invites. And with unlimited revisions, CustomFilterz.com are determined to give you the filter design of your dreams! Click here to start customizing your filter now! If you haven't checked out our free printable section let us say, GUUURL you are missing out! It is one of our most popular pages on our site and like we said all the designs are FREE! Click here to go see for yourself. 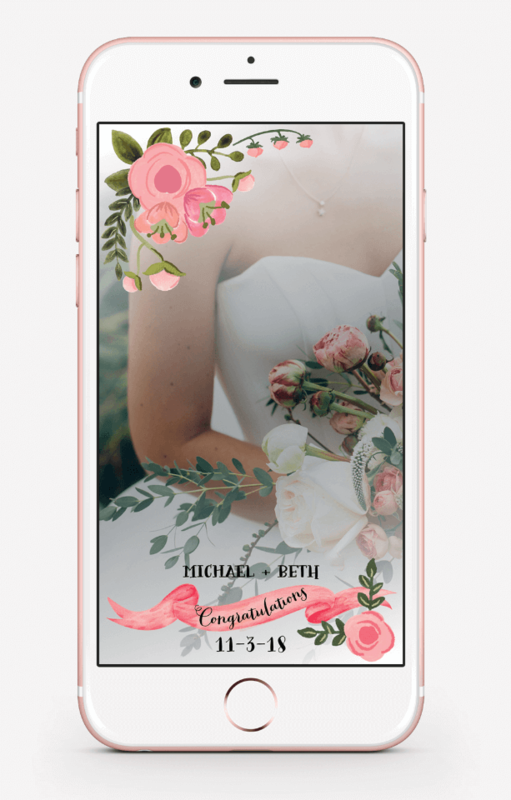 We thought it would be super fun to incorporate your free printable suite even further into your day by adding these rad custom Snapchat filters. 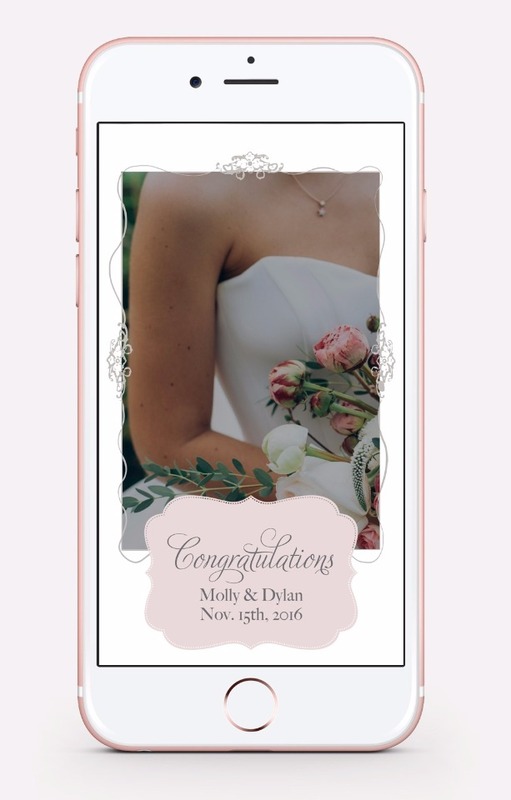 This Peach Flower custom filter is a take off of one of our more popular suites and is sure to add just the right amount of sass to you and your guests snap shots. Want the free printable suite to match your CustomFilterz.com filter? 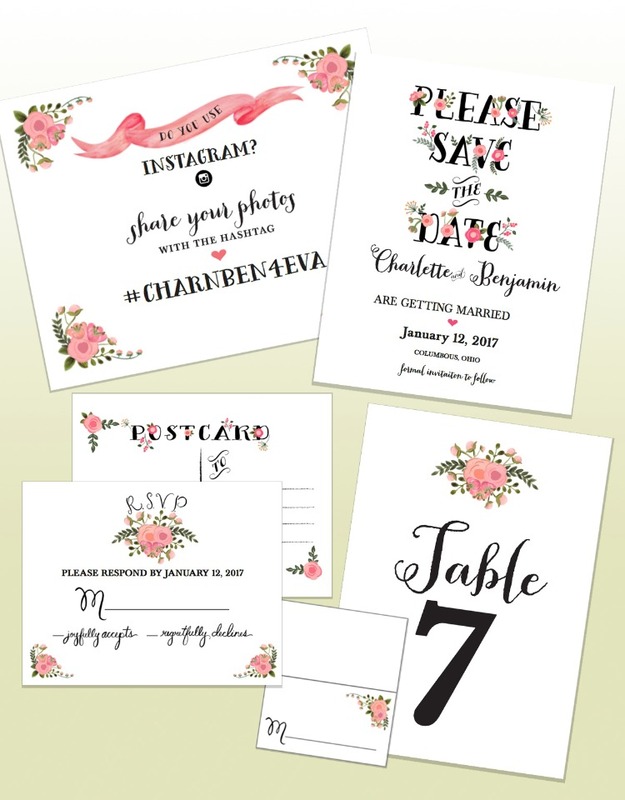 Click here to start customizing and printing the Peach Flower suite all for free! 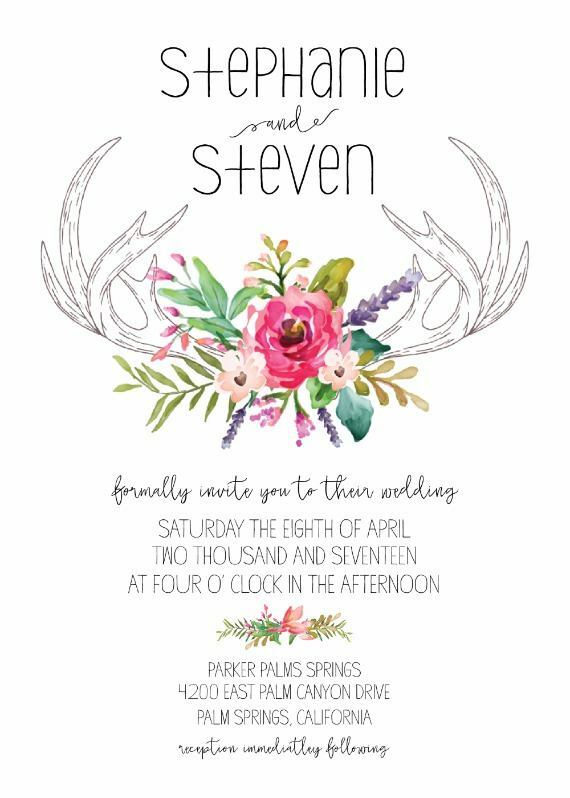 Another take on one of our more popular free printable suites is this Antler custom filter, and it is my personal favorite! Not only does it give your photos a funky boho vibe but it also adds a fun element to any selfies you take. Forget the dog face, this set of antlers decked out in a flower crown is going to make all your guests look totes adorbs! You can find the matching free printable suite for this CustomFilterz.com filter on our free printable page. Click here to start customizing your Antler invitation suite now! So we know you are super excited to use your CustomFilterz.com filter on your wedding day, but what about your bridal shower? 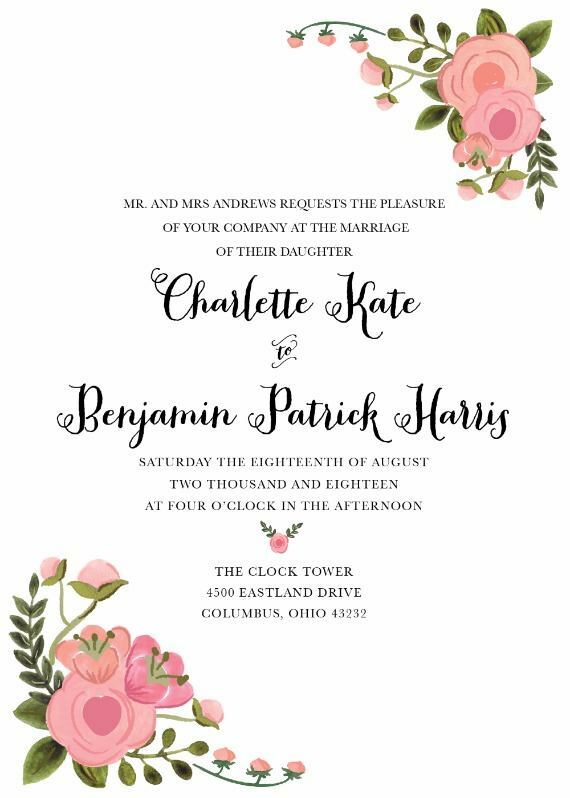 How cute is this custom filter that matches our floral wreath bridal shower invitation suite?! 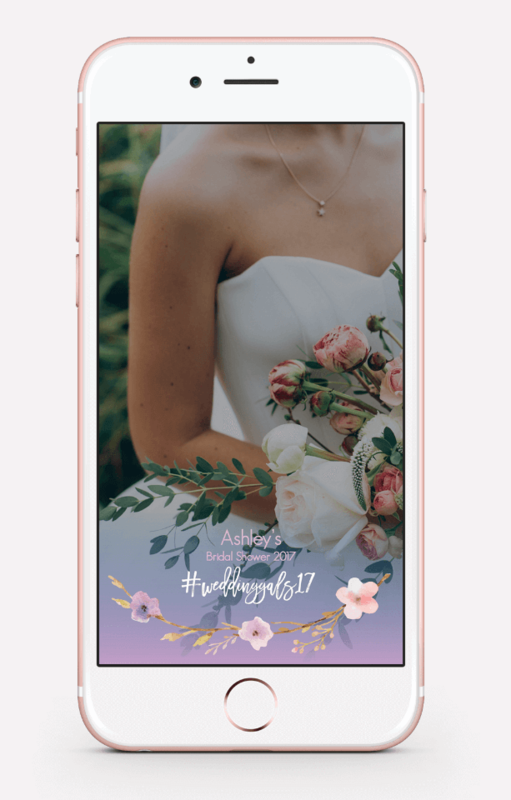 Your besties will be so excited to find out that after they capture all the sweet moments at your bridal shower they can swipe through the Snapchat filters to find your filter waiting for them! 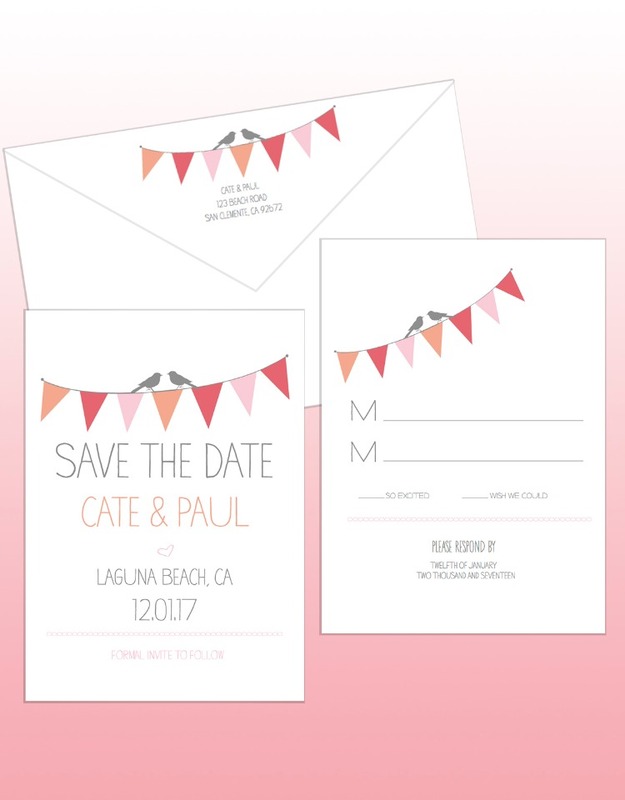 Want to coordinate your CustomFilterz.com filter with your bridal shower invite? 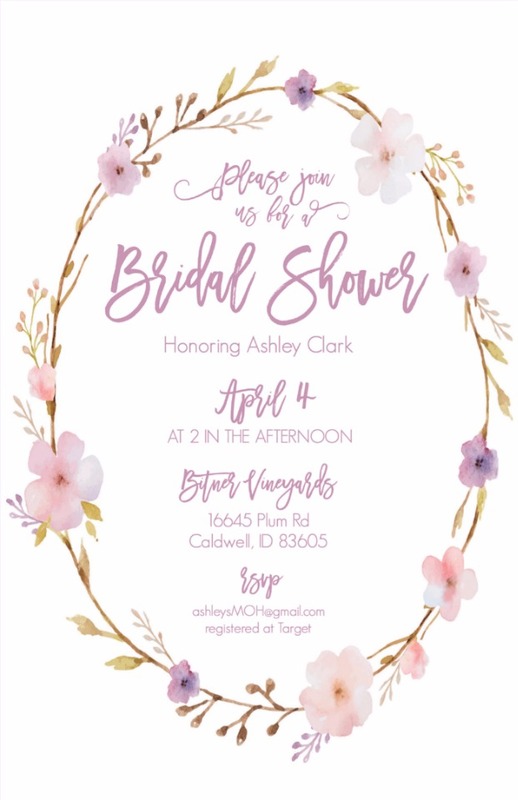 Click here to find our free Floral Wreath Bridal Shower suite waiting for your to customize and print! Life's a party and this Wedding Chicks filter from CustomFilterz.com is all about celebrating that party! We love this cute bunting and love bird design. it'll give all your guests photos a festive look and feel, all while matching up perfectly to the adorable Bunting Wedding Stationery suite that you can find on our free printables page! 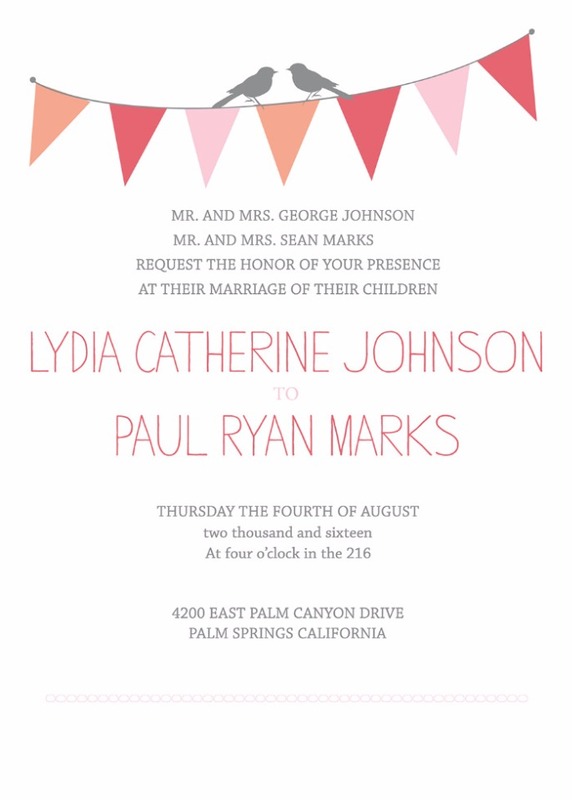 To start customizing your own Bunting Wedding Stationery Suite you can click here. And don't forget your matching filter from CustomFilterz.com! Looking for a classy way to frame all your elegant wedding photos? Let me recommend this Wedding Chicks custom vintage filter from CustomFilterz.com! 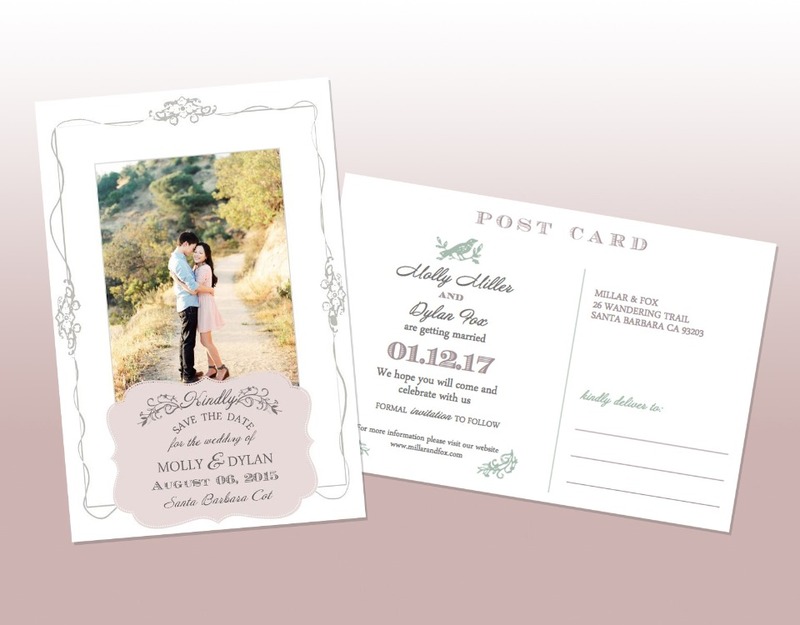 This white and vintage pink design matches perfectly with our Vintage Postcard Save-The-Date printable, so that you can set the perfect tone when you announce your nuptials as well as when you say "I do!" Find your Wedding Chicks custom vintage filter at CustomFilterz.com, and don't forget to check out our matching Vintage Postcard Save-The-Date too! What about your big night out on the town with your besties? You know there are going to be tons of photos taken that night. 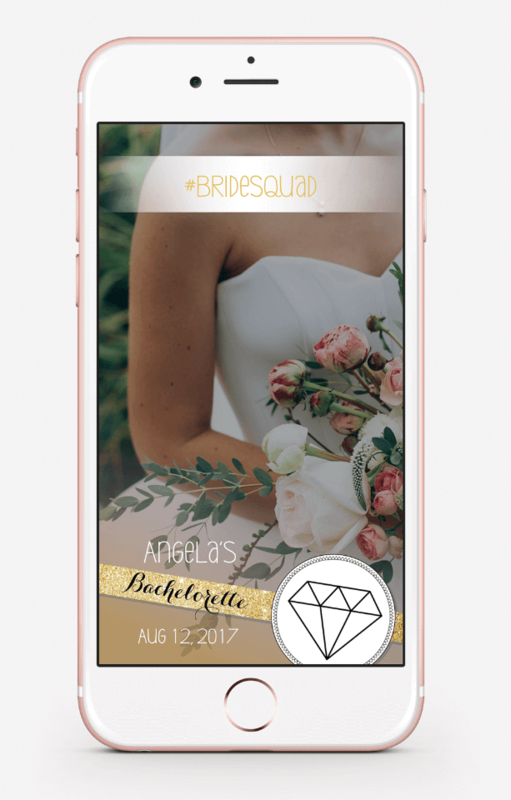 Make sure you have your Wedding Chicks custom Bachelorette Night Out filter from CustomFilterz.com to make those photos extra special! Oh and did we mention we have a kickass Bachelorette Night Out free printable suite too? 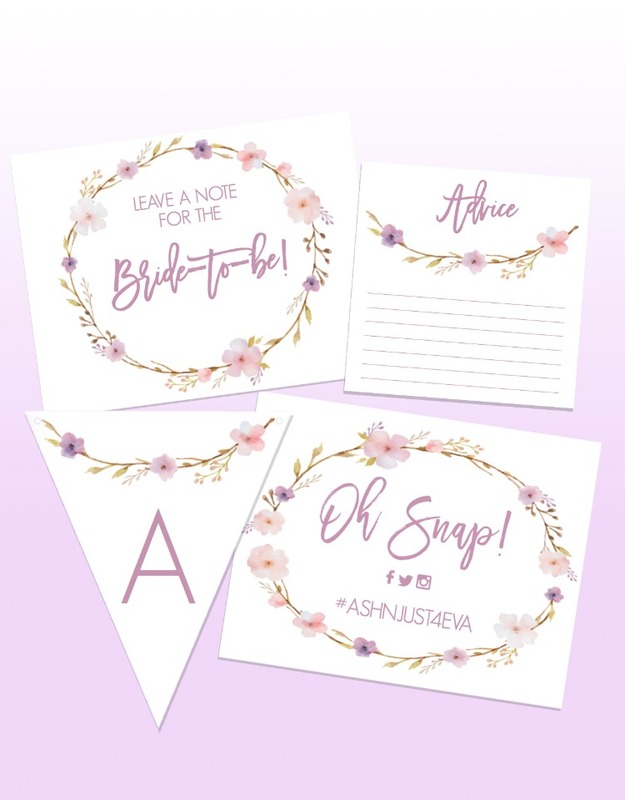 Not only do you have invites to send all your gal pals, there are some fun bachelorette games to download and play as well! 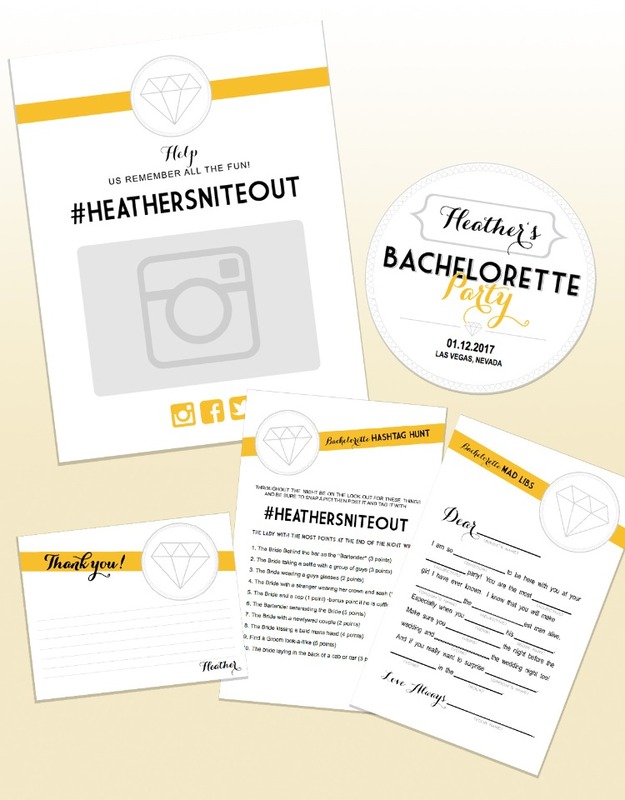 You can find the free and customizable Bachelorette Night Out free printable by clicking here! 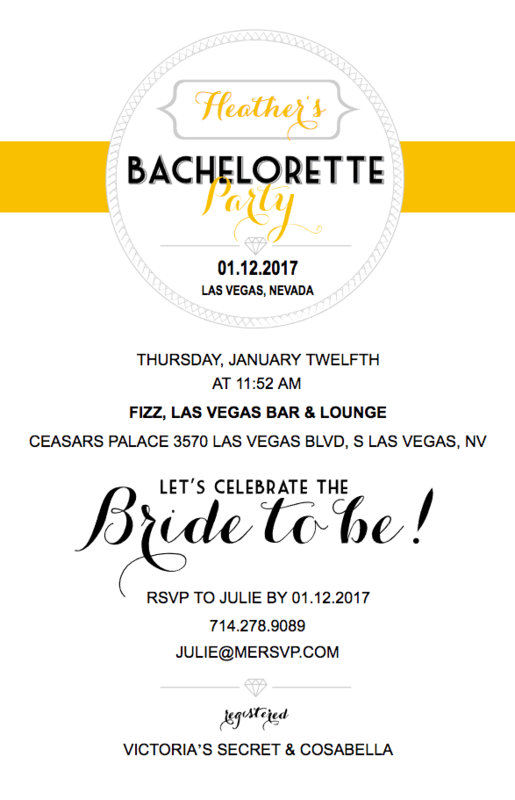 Complete your night with your custom Bachelorette Night Out filter from CustomFilterz.com!